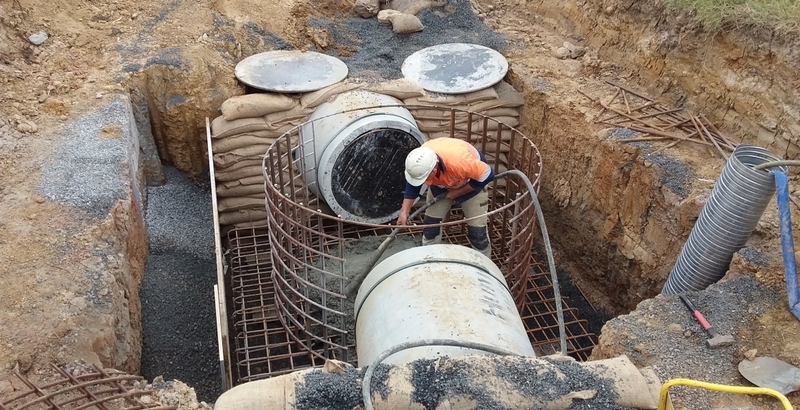 The Wet Weather Internal Surcharge system is installed to reduce the risk of direct impacts to public health, the environment, public and private properties, as a result of wastewater surcharges during wet weather events. 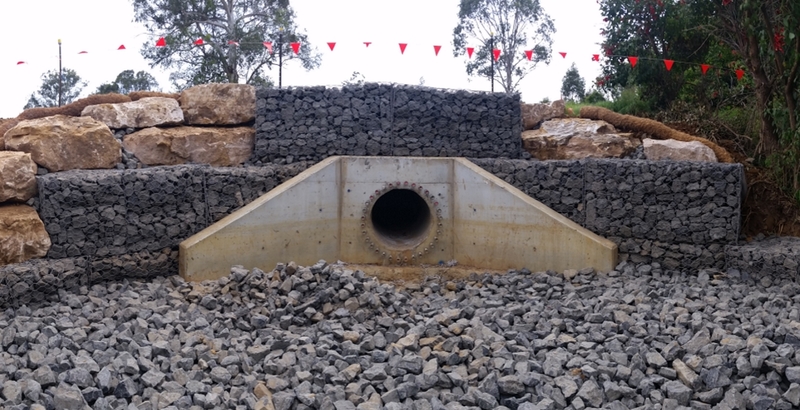 The package at Quakers Hill included construction of a new wastewater main, emergency relief structure and overflow structues. 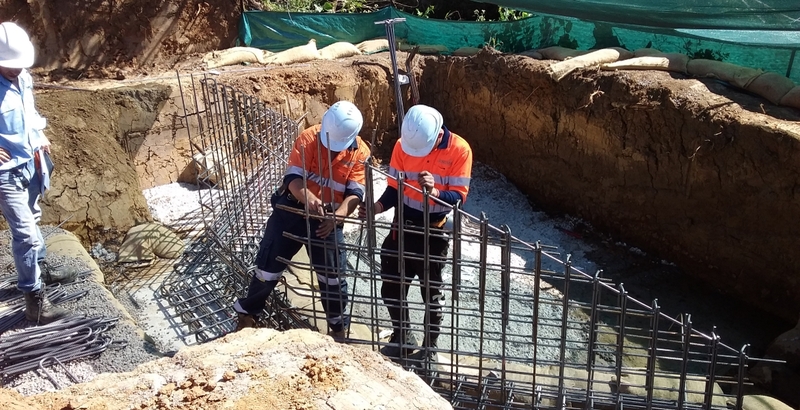 Preliminaries involved site mobilisation and demobilisation, site investigations and environmental measures, vegetation clearance, traffic management and construction of temporary alternate access due to wet weather. 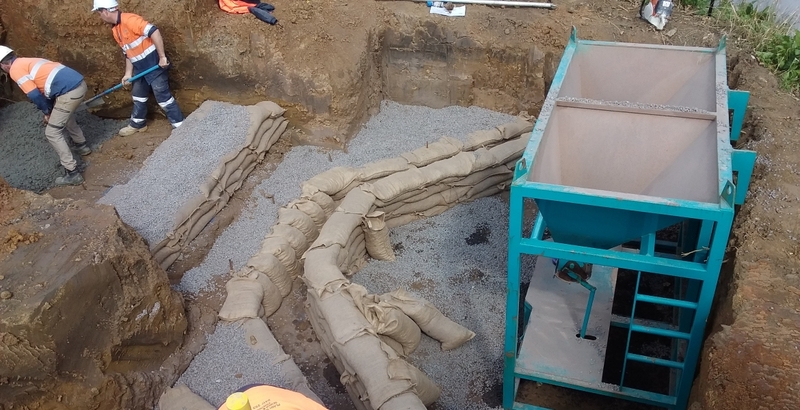 Construction included installation of DN900 RCP, including trenching, laying and backfill. 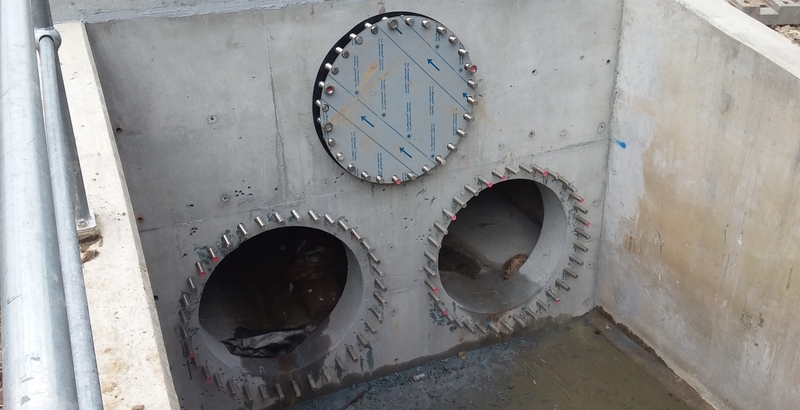 Jonishan supplied and installed a DN1800 manhole with DN600 Class D Cover, including pipe blockouts. 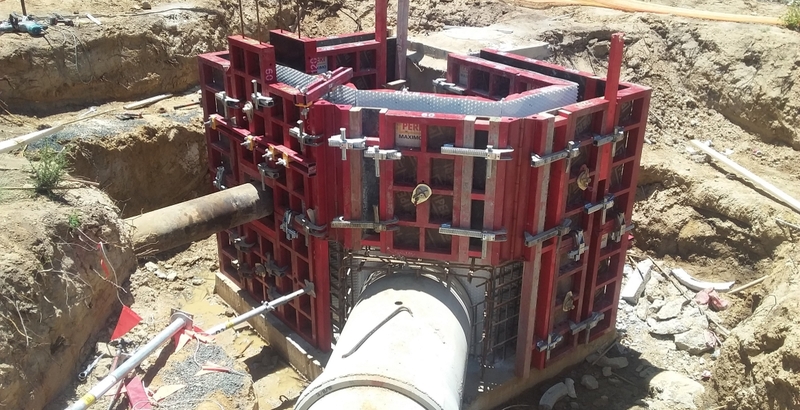 A new ERS chamber with HDPE lining with new Class D Cover was supplied and installed. 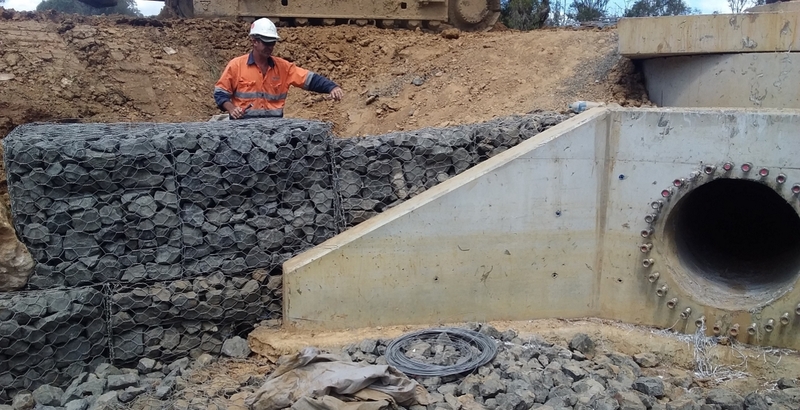 Supply & install of headwall to suit DN900 RCP pipe, including surrounding civil works. 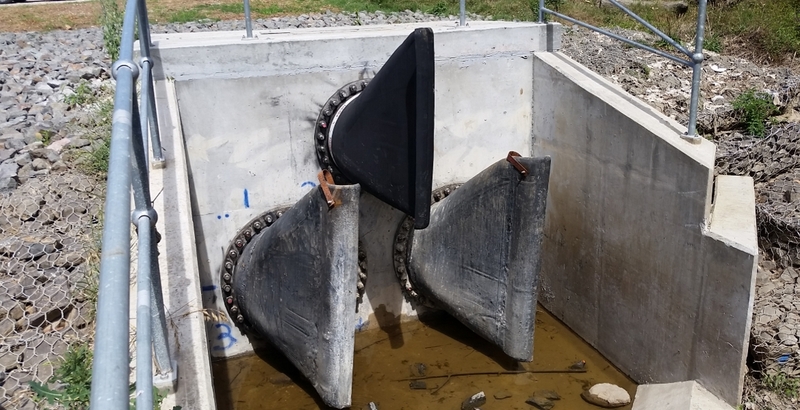 Core Hole for Duck Bill Valve anchorage with rubber flange & stainless steel backing ring was installed and tested. 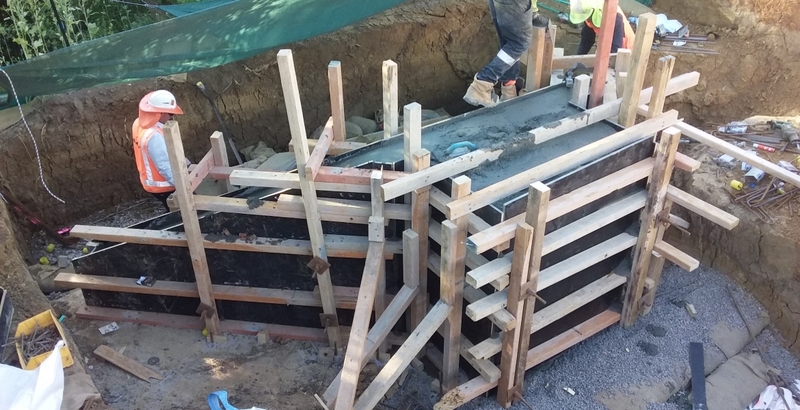 Connection was to existing manhole.